Musicians are so close you can see the sweat on their brow. 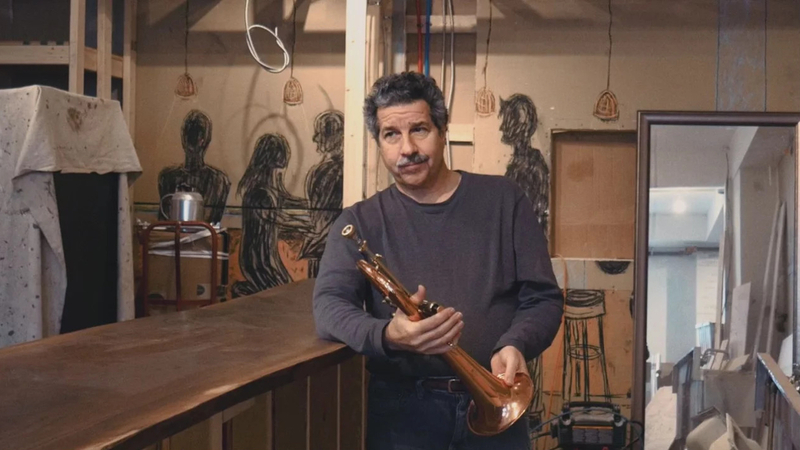 Owner Mark Morganelli is one of Jazz's ultimate insiders, able to book legends like Joe Lovano and young upstarts like Theo Croker. If you're in Westchester and love jazz, this is the place! This is one of the greatest jazz clubs in the world. Everywhere your eye lights is something beautiful to look at. And the food is terrific. We have been residents of the river towns for a total of 30 years. We can honestly say that the Jazz Forum is the most exciting cultural attraction to open up in this area in the last decade. We are beyond grateful. This is a very special club because it is so intimate, comfortable and down to earth and it’s made out of love. NYC jazz without crossing a bridge! And parking and a great pool table, too! Why go to the city when you can hear top-notch musicians in a cozy venue right here? This is hip. I like this club. It’s not every day that you go to Tarrytown and you’re like, okay, Tarrytown is a big Jazz Capital?! It’s absolutely amazing. It’s a beautiful place, a warm crowd, everybody is great. I feel like I’m at home. No need to venture to Manhattan to listen to Jazz anymore. The Jazz Forum is the hot new place to visit in Westchester.... Owners Mark and Ellen are always mingling with their guests, adding a personal touch. So if you're in the vicinity, do stop by. You won't be disappointed. It feels like a family situation when you’re playing in this club, like you’re playing in the living room, just having fun and everybody’s feeling the togetherness and unity. So I really love it. It’s very warm. An easy walk from the Metro North Tarrytown station. Top jazz acts play in an intimate space. Good food, good drinks, good music and clean restrooms. My first impression was that there was no stage here, but... it’s very interesting because the format of the club is like a letter “V.” We play for two audiences — one over there and one this way. The audience was friends with us. We got a lot of good energy, positive energy from this crowd. Visit the Rivertowns this weekend – less than 40 minutes from Manhattan, New York. Your contribution to Jazz Forum Arts will give Westchester residents and visitors fine music, great food and drink, and a warm and welcoming place to be. You will be investing in something you care deeply about and can call your home for music and community. Don’t miss any upcoming shows, offers or special events!